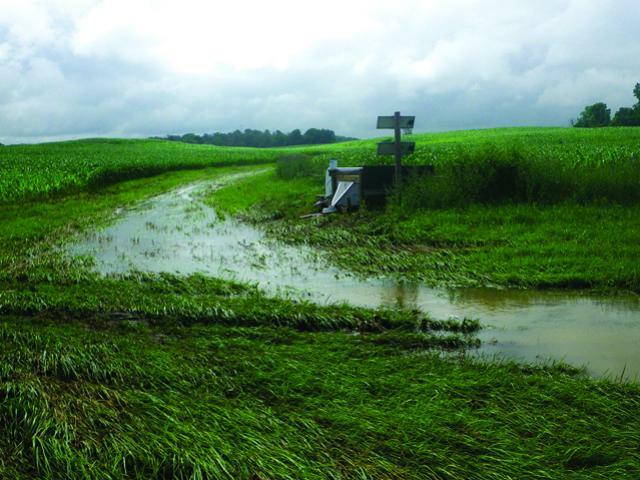 Maintaining soil phosphorus levels in accordance with the research-based Tri-State Fertility Recommendations helps lower the concentration of phosphorus in agricultural runoff, according to ongoing research by CFAES scientist Libby Dayton. And because erosion matters, the phosphorus associated with eroded soil can be curtailed by reducing soil disturbances such as tillage and by maintaining field cover either as crop residue or as a growing crop, she said. Dayton is a research scientist in CFAES’s School of Environment and Natural Resources. Through her On-Field Ohio project, she’s working to update and revise the Ohio Phosphorus Risk Index, an online tool that farmers can use to determine — and, if necessary, reduce — the risk of phosphorus being washed off their fields into water. The Ohio Phosphorus Risk Index is an integral part of a farmer’s nutrient management plan, Dayton said. It provides a field-scale estimate of a farm’s phosphorus runoff risk. The Tri-State Fertility Recommendations provide specific nutrient recommendations for corn, soybean and wheat growers in Ohio, Michigan and Indiana. Excessive phosphorus in agricultural runoff is one of the causes of harmful algal blooms in Lake Erie and other bodies of water. To contact the scientist: Libby Dayton at dayton.15@osu.edu.